Complete incident reports and keep all relevant documents in the system. Identify commonalities between injuries to determine where safety may need improvement. Keep track of employees’ time out of the workplace. Share risk and injury reports, set meetings, prepare agendas, and take notes. 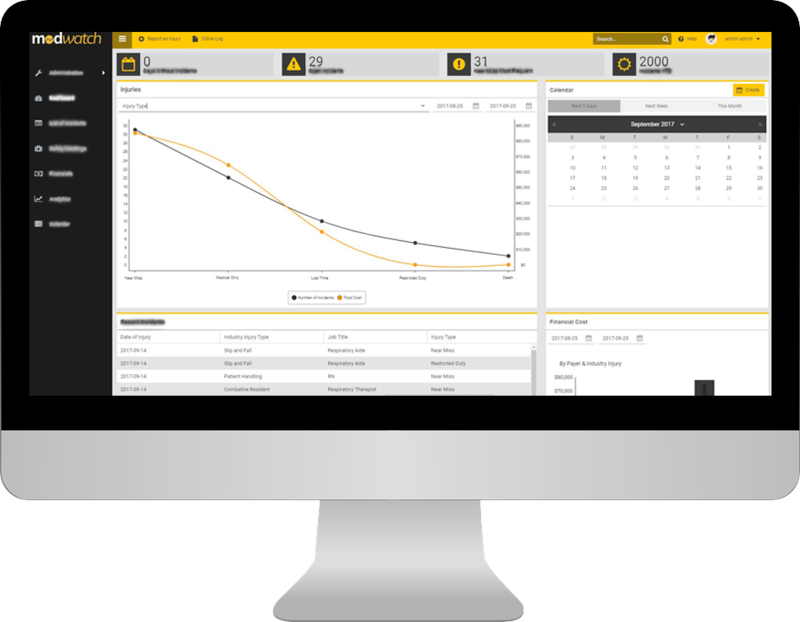 Evaluate cost of injuries, and audit and track reserves. Automatically complete your yearly 300 and 300a forms. 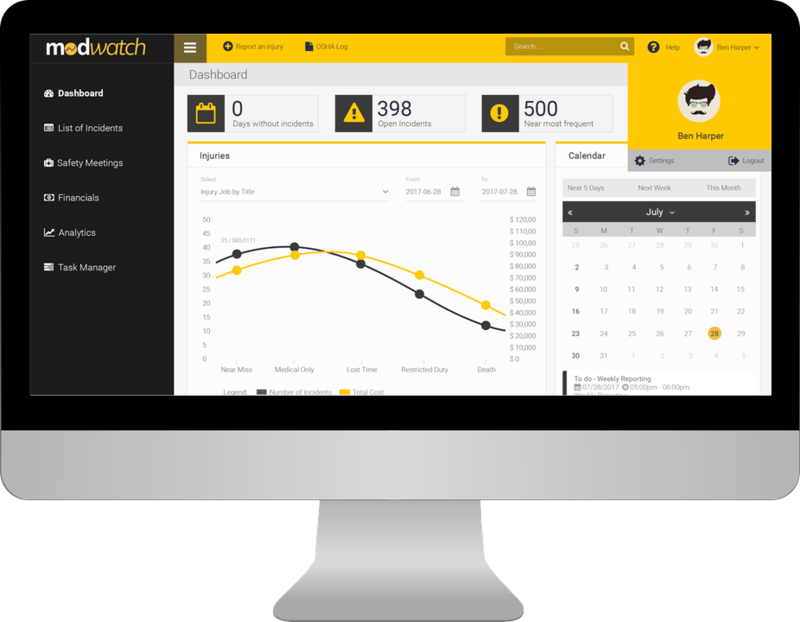 With Modwatch, you are on your way to a safer workplace equipped with insightful reporting and effective management tools! Save time by reporting the injury a single time. Once the information is entered into the system, the OSHA log is completed and you can notify your insurance company, broker, and/or state with the click of a button. Compare costs of worker’s comp by type of injury or department, and monitor cost increases or reductions to determine how injuries are affecting your bottom line. Determine why injuries are happening and who they’re happening to, and determine whether there is a lag in reporting injuries. By analyzing patterns, you can find the root cause of certain injuries and identify areas that may need improvement. Schedule safety meetings, invite attendees, and create a thorough safety meeting agenda including injury review and sign in forms, with a few clicks of a button. Keep track of all relevant dates – doctor’s appointments, return-to-work dates, injury dates, and safety meetings – to easily follow up when needed. Upload employee data, manage user access rights, change or edit drop down options from incident reports, add or edit insurance information, and make any change in the system from our user-friendly admin dashboard. Fill out the simple form below to learn more!